Photography Tutorials | The Way I See It ! Most of the digital cameras come with the option of shooting in monochrome or black and white picture style. A lot of photographers choose this option for taking black and white photographs, but the in-camera conversion into greyscale is far from satisfactory. Black and white is not just pure black or pure white, is also about grey tones. Ansel Adams and Fred Archer devised the “Zone System” for film exposure and development where zero is pure black and ten is pure white, one to nine denotes different grey tones. Colours are easily differentiable in colour photography, the art of black and white photography lies in differentiating the grey tones. When different colours are converted into grey tones, the conversion should depict individual grey tones for each colour. This, most of the times, is not achievable when photographs are taken in monochrome picture style, the camera fails to work with individual colours and produce a greyscale image lacking in tonalities. Here are two examples, one colour photograph taken in standard picture style and another taken in monochrome picture style, both are unedited and SOOC (Straight Out Of Camera). Red and Green are dominating colours in the colour photograph but in black and white option, the grey tones depicting the individual colour are almost identical and appear flat. This is a major drawback when in-camera processing takes place. While post processing the colour photograph in the editing software, each individual colour can be worked upon depending on personal preferences. Even while shooting with black and white film, colour filters were attached to the lens to change the tonality of grey in the final output. Same principle is applied in the editing software, where intensity of each individual colour is increased or decreased to get the desired grey tone. In the above photographs, the red colour is increased resulting in a lighter grey tone and green colour is reduced to produce a darker grey tone, the two grey tones are easily identifiable. Also some colours like yellow and magenta which are not noticeable in the photograph, have also been worked upon to get the desired output. In the above photograph, Red has become a darker grey and green a lighter one by just playing with the individual colour sliders. The above colour photograph is in jpeg format, where the image has already been processed in the camera and is compressed. This at times, may restrict in getting the finer tones. Shooting in RAW is always the best option if the photograph has to be converted into black and white. The RAW convertor in the editing software give better options for converting into black and white, in the RAW the range of tones is much more wider as compared to a jpeg file. It is time to stop using the “monochrome” or “black and white” picture style in the camera and start shooting in RAW format, if possible. Otherwise shooting jpeg in colour in camera and converting into greyscale using an editing software is a better option any day. Shooting in colour also gives the option of retaining the colour version and creating a separate black and white version, it is not an easy task to add back colours in a ‘monochrome picture style’ image. The year was 2003 when I purchased my first DSLR, spent ₹ 1.75 lacs on the 6mp camera body & another ₹16000/- for 2 Compact Flash cards of 512 mb each. Thankfully the existing SLR lenses were compatible. It was the time of transition from film to digital technology for professional photography . With film cameras editing was taken care of at client’s end, there was no real need of laptops/computers at the time and location of shoot. This was also the time of shooting with both technologies, film as well as digital, the clients were not sure about the output and quality of digital cameras. The camera which I was using, Fuji S2Pro, had the option of clicking in TIFF mode besides JPEG, RAW processing was not common as editing software were not very advanced unlike today. On a 512mb memory card, there was a possibility of storing only 28 images, each file size being around 18mb, lesser than a film roll with 36 exposures and almost double than medium format film rolls. Two memory cards were always insufficient for the days shoot considering exposure bracketing. Buying more memory cards was not a cheap option and laptops were not inexpensive either. As a standby during that time I requested my friend to bring the Digital Photo Copy Cruiser by Alera Technologies from USA, it was never launched in India and I paid around ₹10000/- for it. I read about this product in an international photography magazine, not much of information was available on internet during those days. This product was revolutionary which enabled the copying of digital photos directly from camera memory cards to CD without a computer. Each CD can store 700mb data which was more than sufficient for one memory card of 512mb. This device with two memory cards and lots of blank CDs became an integral part of my camera kit bag and served my purpose for many years till the time memory cards started coming with higher storage capacity and became affordable. Photos from memory cards could be added to the CD in multi-session format so the full capacity of the CD could be used, though I never used this feature . It could also be used as a USB 2.0 36x CD recorder when connected to a computer. The Digital Photo Copy Cruiser supported the following Digital Memory Card formats: CF Type I and II, SD, MMC, SM, MS, MS Pro, and Micro Drive. I read somewhere that this device became very popular with intelligence and detective agencies as it didn’t leave a trail since no computers were used to transfer the images from the memory card resulting in utmost secrecy. The technological advancements in last fifteen years or so has made a tremendous impact on photography, cameras have become much more affordable resulting in democratisation where more people are able to pursue the craft either as hobby or profession. The initial days of transition from film to digital was a great learning experience, things were changing at a rapid pace as compared to present. It is now the time again to concentrate on the art of photography rather than worrying about the changing technology. New products, new models are launched almost every day, most of these are either result of remodelling of the existing range or some improvements in the previous ones. A technical breakthrough is not very common, to come up with something innovative and unique decides the future of technology. The innovation opens up avenues for advancement and improvements and further opens doors for more innovations. There are various models of speedlites available for the photographers, some are dedicated ones manufactured and marketed by camera companies and some are sold by third party vendors. Most of these camera flashes are identical in nature, these are “kind of standardised” and offer default features. 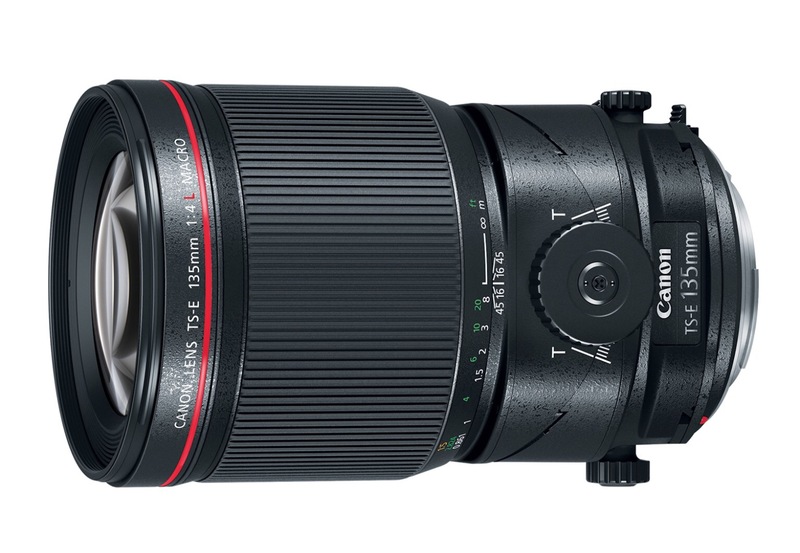 The new Canon 470EX-AI can easily be called a revolutionary product which is breaking barriers. A true innovation which will change the way speedlites are designed and used. AI stands for Auto Intelligent and is actually intelligent enough to make flash photography extremely simple even for amateurs. Photograph below is taken without flash in extremely low light situation resulting in noise. Direct flash whether in-built on the camera or external speedlite though light up the subject but cause unpleasant shadows. Bouncing the light either using white ceiling or white walls using external flash is widely used by photographers to evenly light the subject. Using bounce flash is complicated, need experience and expertise. Canon 470EX-AI, world’s first flash with an AI Bounce function, has made this process extremely simple, press of a button on the speedlite invokes the intelligence and makes flash photography a cakewalk. Besides working as a normal external flash with all controls typically present, setting it on F(Full)-AI.B mode totally changes the way this speedlite acts. After composing the scene in the frame and pressing AI.B button, the speedlite performs a few operations- measuring camera/subject, and subject/ceiling distance, the flash head swivels in multiple directions to formulate the ideal bounce flash angle and automatically sets for optimum flash output for bouncing the light, no more unpleasant shadows. While changing the orientation of camera from horizontal to vertical or other way round, pressing shutter release button twice realigns the flash direction and gives the exact same result. When the subject-camera distance is changed, pressing the AI.B button will repeat the process and recalculate the ideal angle for bouncing the light and optimum output. In AI.B Semi-auto mode, photographer can set their own bounce angle settings and the flash can automatically maintain its angle even when there is a change between horizontal and vertical camera orientation. By pressing the shutter button twice the flash head automatically moves into the preset angle and position. In the photographs below the mode chosen is S, Semi Automatic and the flash head is pointed towards wall on the side, once on left side and next on right side. The flash head automatically rotates towards the set angle when camera orientation is changed from horizontal to vertical. With the light bouncing off the wall on side, there is a nice play of light and shadow on the face. When it is difficult to autofocus on the subject in low-light or when contrast is low during viewfinder shooting, the infrared AF-assist beam built into the flash is automatically emitted to help in autofocus. With this flash mounted on the camera, focusing in low light conditions will no longer an issue. All these photographs have been clicked in low light and there was no issue in focussing on the subject whatsoever. As mentioned before, the M (Manual) mode will make the speedlite like any other normal external flash, the flash head can set in the desired angle manually irrespective of camera orientation. It is only in S (Semi) and F(Full) Auto Intelligent Bounce mode the speedlite takes control of the situation and sets the angles according to the distance between subject/camera and subject/ceiling. Canon 470EX-AI is meant for both professional photographers who are seeking more automation as well as for amateurs who are clueless about flash photography. The speedlite is most suited for covering events, clicking portraits and even products where the subject get evenly lit with nice soft bounced light. So you have an enquiry for a photography assignment and not sure how to go about it, this post is about my experience as a professional photographer for almost 18 years. This post also tries to answer the calls and messages I receive regularly seeking guidance in respect of professional practices. The photo shoot enquiries are generally generated by either the client directly or through the agency representing the client which could be an advertising agency, a PR firm or an event management entity. Dealing with or through agencies is much more simpler as compared to the direct client. The various agencies are already aware of the existing deliverables, the prevailing commercial terms and timelines for an assignment whereas the direct client may not be aware of all these which many a times means educating. Whether dealing with client directly or through agency first and very important step is to understand the assignment and deliverables. The agency most probably will have the artwork or a clear outline of the proposed photo shoot with number of days allocated for the assignment. For the direct client, especially the one who is getting a shoot done for the first time, it is essential to be on the same wavelength and frequency. I always insist on reference images which can bring out the concept on client’s mind, this ensures that there is no confusion at the time or after the shoot. It is absolutely essential to inform the client about issues or difficulties which may arise during the actual shoot like some products may require extra time or the desired result will only be possible after intensive post processing. Some assignment will require hiring an extra hand like a stylist, it is always better to let experts in the field to take charge. The logistics also need to be worked out at this time- in studio or at location etc. This clarity will help in avoiding any conflicts and help in long term association. The payment has two components – the amount and terms. Amount of assignment charges vary from photographer to photographer but the reason for variation is the experience. An experienced photographer will definitely be able to get more assignment charges as compared to a newer one. Here I am trying to avoid quantifying any amount as some photographers are ready to work at really low figure, almost free, because of competition, opportunity of getting exposure etc. The experienced photographer does not charge for pressing the shutter release button but for the vision. The experience helps in getting better photographs in optimum time due to coordinating better with the team consisting of client, agency, stylist, lighting assistants and other members. The amount charged can either be on the basis of ‘per day’ or ‘per product’. If working on ‘per day ‘ basis, numbers of hours in a day need to be explicitly mentioned, generally 8 hrs for full day & 4 hrs for half a day. This means reaching on or before the scheduled time and not making anyone wait. Also it is important to inform about the number of shots possible in a day. While working on ‘per product’ basis, minimum quantity of products to be shot during the day has to be fixed before the shoot, something similar to ‘cover charges’, the client will have to pay a minimum amount even if the quantity of product is less than what was committed. ‘Per Product’ rate is more applicable for e-commerce based clients which is volume based having similar products being shot under similar setups. The assignments, where compositions are involved like food,interiors etc, working on ‘per day ‘ basis is advisable. Digital Processing Charges also need to be discussed while negotiating with the client. These can either be built in the photography assignment charges or mentioned separately. During the film days, the clients always paid for the cost of film rolls, processing, printing etc over and above the assignment charges. With digital photography, the photographer need to do extra work which earlier was outsourced. Also if the assignment requires intensive post processing which may mean outsourcing to an editing expert, the charges need to be mentioned clearly. Terms of delivery and payment are equally important, with new clients I do not block a day without receiving an advance which is generally 25% of the total assignment charges and balance 75% on sharing the high resolution photographs. If the client cancels or postpone without giving adequate notice, the advance is not refundable(emergencies are excluded). A set of low resolution images is shared before actually handing over the final set. With existing clients the terms of payment have evolved over a period of time and are more flexible on account of the comfort level. GST(Goods & Services Tax): In case the annual income from profession is less than ₹20 lacs, Registration is not mandatory. An undertaking to this may have to be given to the client. TDS (Tax Deduction at Source) will be applicable which is currently 10% which can be adjusted while filling the Income Tax Return. All the discussions, reference images, estimates must be put in writing, preferably through email. There has to be a proper record of everything discussed so that there is no confusion at a later date, verbal commitments can’t be relied upon. A few things which must be always kept in mind. Never over-commit, if it not possible to give finished images before a particular time, do not give an early deadline. Same applies for agreeing to click more photographs in a day than possible just because client is insisting. Handing over before time or shooting more than expected will build client’s confidence. Punctuality and timely delivery hold the key, reaching before the shoot and keeping things ready before the arrival of client create a good impression. And since the hours are pre-defined, the discipline from client’s side will also be there. Also avoid taking frequent breaks, could be as simple as avoiding taking phone calls in between. Once the assignment charges have been fixed( even lower than what you had in mind), give your best, never compromise on the quality just because the client has not agreed to your quote. You are a party to the agreement and there are no afterthoughts. After the scope of work and terms are decided, re-negotiations are strict no. It is always better that either the client or representative of agency is present during the shoot, if due to certain reasons it is not possible, work out an arrangement with the client for showing the first shot through mail or message and getting the same approved. At times, the smallest of detail matter, which the client or agency can point out, this will help in setting the flow for rest of the shoot. Be nice to people working with you. Loosing temper, not speaking politely to team members are not signs of professionalism. A good team will make things easier and shooting floor more lively and happy. Have a control over the situation and an ability to troubleshoot with a smile. In case, there is a dispute at a later date due to any reason, try to reconcile with the client amicably. A fight may result in forfeiting payment and loosing future business prospects. Offer a re-shoot if there is shortcoming at your end, keep the customer satisfied. ‘Keep the horizon straight’ is one of the important composition rules in photography where the horizon has to be kept parallel to the horizontal side of the frame. Similarly keeping the vertical lines parallel to vertical side of frame creates a balance in the image, there are perspective control (PC) lenses also known as Tilt & Shift lenses which help in overcoming the problem of converging verticals. A slight tilt is considered as a mistake but an intentional tilt, a deliberate slant where degree of tilt is quite high is the Dutch Tilt or Dutch Angle. Not to be confused with the country Holland or Netherlands, the term ‘Dutch’ originates from ‘Deutsch’ meaning German. So basically Dutch Tilt, Dutch Angle and German Angle are same and used very often in cinematography. In this technique the camera is set at an angle similar to tilted head where horizon is not parallel to the bottom of the frame. By using the line dynamics, a drama is created in the scene and causes an uneasiness or tension. The eyes, used to seeing the symmetry and balance, notice the drastic change in perspective of the subject. Using diagonals while composing changes the scene from one point perspective to two point perspective, the subject looks three dimensional. Here either the subject is turned around or camera is moved to see the depth in the subject. In Dutch Tilt, the camera is set at an angle on its roll axis making the lines appear diagonal instead of parallel to the sides of the frame. The angle is quite unique and make a tremendous impact on the viewer and can also lead to abstraction from a definite form or shape. Besides catching the attention, the angle can make the viewer think about the subject and interpret in own way. A few months back I posted about a food photography proposal I received from a Food App. The proposal, it seems was designed by a Management Graduate ( no offence to MBAs, there are exceptions, some are really creative), the whole photography model was volume based , on the quantity of restaurants a photographer can cover in a day. The assignment which was described to me was to visit around 200 restaurants in around 2 months and take photographs of 10 dishes in each restaurant. The assignment charges per restaurant were too low to be even discussed but when it comes to volume of business and generation of revenue, it seemed like a decent amount for a photographer. I didn’t think in terms of volume of business, number of restaurants to be covered because as per my experience in food photography ( almost 18 years now) , it takes almost a day to click 10 dishes where each food item is nicely stylised and every detail is taken care of. Visiting three restaurants in a day where travel time also needs to be considered, means spending around an hour maximum per restaurant to take photographs of 10 dishes. In such a scenario, quality of photographs can be an issue. Food photography is not about the taste, it is all about the looks. Most of the Chefs have taste in mind, presentation of food may not be suitable for the photograph. A food stylist plays an important role here who ensures that food looks fresh, appetising and inviting in the visual. I posted about the offer from Food App on the wall of my Facebook, majority of photographers questioned the offer and agreed that food photography is different from photography for e-commerce but one photographer took offence and justified the business model which is purely volume based and evaded answers on the quality of photographs. He even accused me of misleading young photographers who are getting an opportunity to make some decent earnings. The discussion was inconclusive but a food photograph which I came across today brought back the memories of the offer & not-so-healthy exchange of words. In the photograph above, as far as my interpretation goes, the oil leaking from the dispenser is an omission, an oversight, a hurriedly taken photograph where the photographer has not spent time on observing the elements in the frame. Simple mistakes can ruin a photograph, here not only the photographer but the designer ( Art Director ) of pamphlet where this image is used is equally responsible. This is not the only food photograph where the quality is questionable, there are so many such other images where restaurants have spent huge money on setting up the place and advertising/PR but have not spent enough to hire an experienced photographer and/or a food stylist. PS: Anyone who feel that oil spill is intentional and is a part of composition is requested to ignore this post. Oil spills are not only bad for environment but also for food photography 😊. Disclaimer: The photograph used in this post is only for the purpose of reference. Copyright of the image is owned by the respective brand. For a photographer, designer, advertising agency, publisher or printer, ‘300dpi’ is not an alien term, it is a kind of prerequisite for submission of photographs. From entering a photography contest to submitting images after a professional photo shoot, one comes across this term very often. For most of the people in the industry, 300dpi means high resolution but is it the right equation to describe the resolution of a photograph ? In the current scenario 300dpi is the most misused term, it is rather incorrect, outdated and incomplete. DPI is abbreviation for Dots Per Inch, a term which is related to printer dots per inch. The resolution of a photograph is ascertained by pixels. Pixels are the square, solid colored smallest element of an image file. Camera manufacturers highlight MP-MegaPixels to describe the quality of sensor in the camera. Megapixels mean million pixels, a 10mp sensor has 10 million pixels which is calculated by multiplying the horizontal pixel dimension with the vertical pixel dimension. A camera does not give output in dots, only pixels are relevant in a digital image. When the term DPI is used, it really mean Pixels Per Inch or PPI. When it comes to printing a photograph, even 300ppi is not the complete term, it does not mean anything unless accompanied by the size of the print. A 6 inches by 4 inches at 300ppi will have 1800 by 1200 pixels ( 6×300 by 4×300) or 2.16mp (1800×1200). A same print at 100ppi will be 600 by 400 pixels and at 200ppi will be 1200 by 800 pixels. A camera with a resolution of 24.2MP is able to record an image which contains a total of 24160256 pixels. 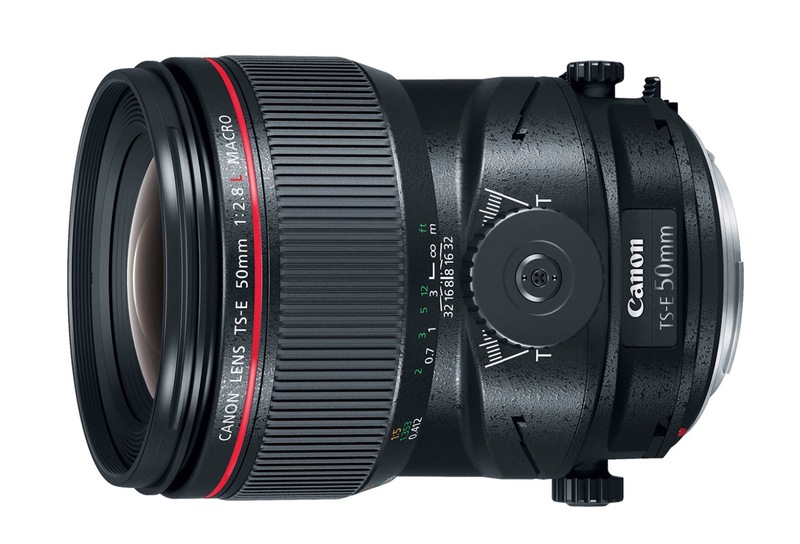 Shot in an image ratio of 3:2 a 24.2MP image would have a resolution of 6016 x 4016 pixels. With this resolution, a print size of 20.05×13.38 inches is possible at 300ppi. At 200ppi the print size will be 30×20 inches and 60×40 inches at 100ppi. At 72ppi the maximum print size without any quality loss can be printed which will be 83.55×55.77 inches with this sensor. Below 72ppi, the print quality will start deteriorating but again it depends on viewing distance, sometimes the big hoardings which are placed at a distance are printed at lower than 72ppi. So next time if you come across 300dpi ask for print size and do not forget to point out the difference between dpi and ppi. 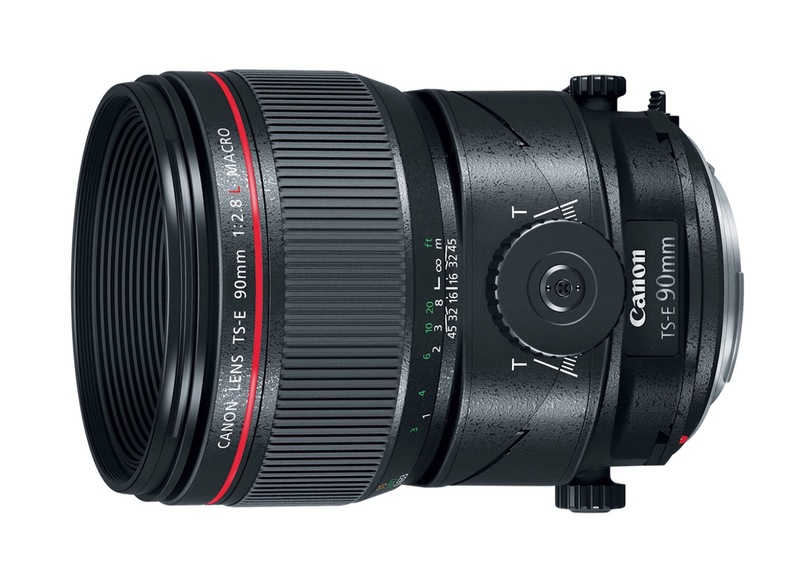 Canon adds new lenses to its lens portfolio with the new EF 85mm f/1.4L IS USM Lens and their first-ever Macro Tilt-Shift lenses. 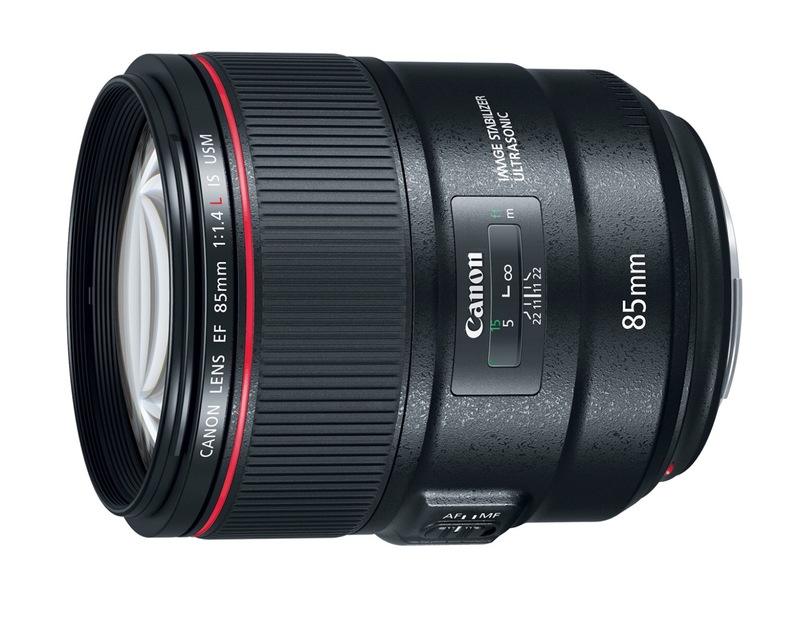 New Canon EF lenses support a variety of photography genres including Architecture, Portrait, Food and landscape. The new range is scheduled to be available from November 2017.